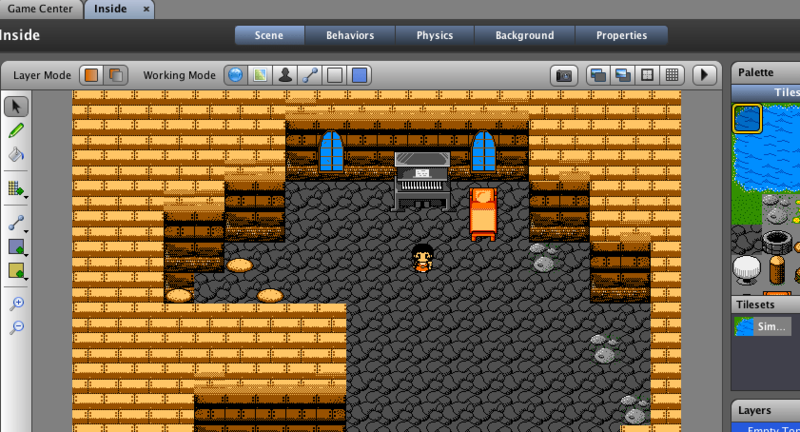 I just added two new game making software options to the game creation software page. I haven’t tried Corona one yet so I can’t speak from experience but it does look good. It looks like they have a code editor which can be very helpful (or dangerous) depending on your comfort dealing with code. Stencyl is a easy to learn visual game editor that has some really good templates to start from. At the recent Gamercamp they had setup Stencyl for people to play around with during the game jam they ran during Maker U afternoon. On their Stencyl blog they have example games and some hints and tips. They have on their site quite a few sprites and textures that are free to use for indie game developers. There’s also Mayang’s Free Textures and Open Game Art. I’ve updated the Game Making Resources section of the site and added a Visual Asset Resources page.